To adjust the readability of text on the SureDesk™ follow the below steps. On your SureDesk™ desktop click the Control Panel icon. 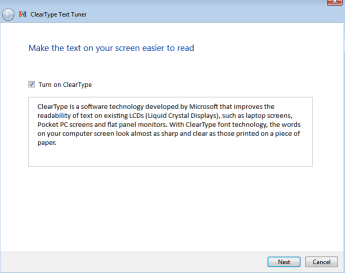 Make sure the checkbox for Turn on ClearType is checked. At this point you will be asked to determine which texts look best to you. 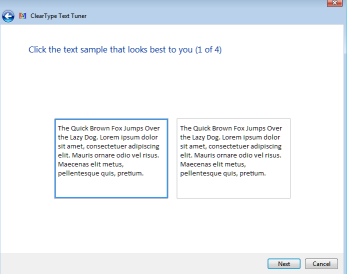 Select the text that looks best and click Next.